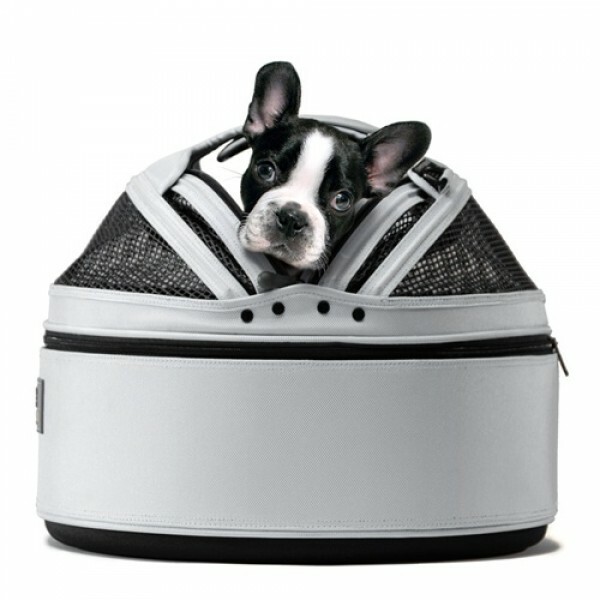 Turn your pet bed into a carrier by simply zipping on its mesh dome to secure your pet inside. 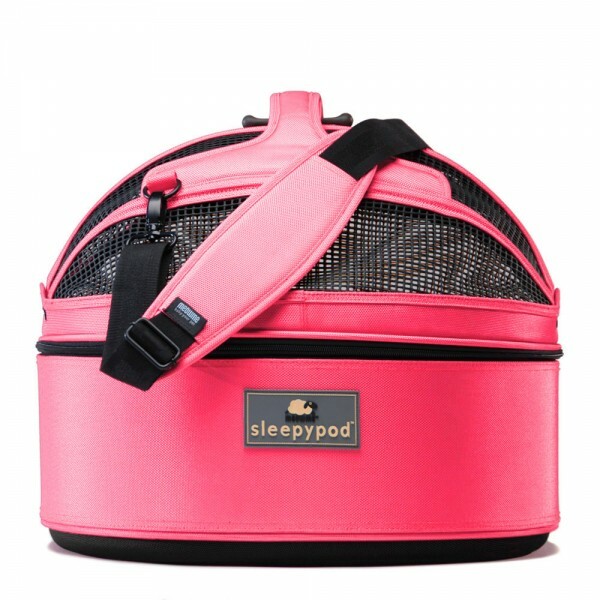 Sleepypod Mobile Pet Bed was the first of many crash-tested safety products designed by Sleepypod. Check out Sleepypod’s crash test videos along with more information on our Sleepypod Safety Test Program. PPRS Handilock was designed to augment Sleepypod mobile pet bed car safety. 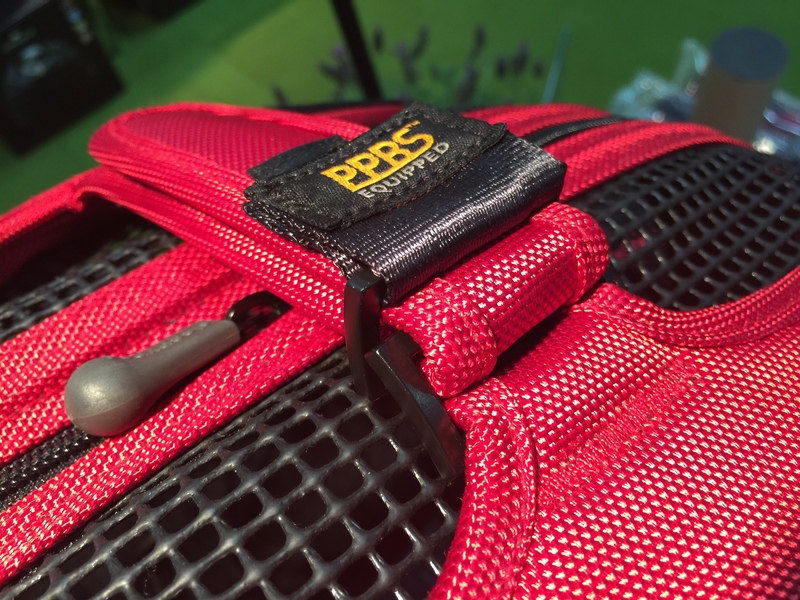 ALL Sleepypods come with a PPBS Handilock strap. AT TIME OF VIDEO, FINAL PULLING OF SEATBELT IS INCORRECTLY PLACED. IT SHOULD BE UNDER THE SLEEPYPOD BACK AREA NOT OVER THE TOP OF THE VELCRO. SORRY, VIDEO NEEDS TO BE REDONE. 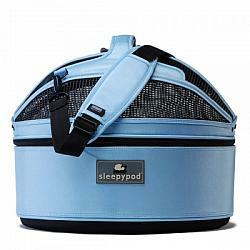 PHOTOS OF ADDITIONAL SLEEPY POD COLORS ... CLICK BELOW. 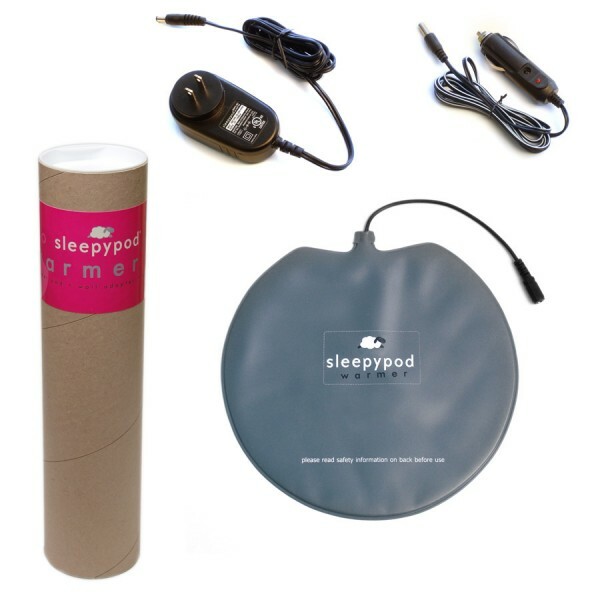 I bought the sleepy pod and warmer. I use it w/ warmer if one of my girls needs a c-section going back and forth to the vet. I also like the warmer in case we are delayed in the cold Indiana winters. I can put two yorkies in the pod easily and they sleep the entire trip. 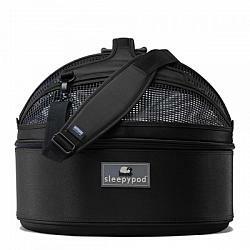 After using other car seats for my 6 pound yorkie Zachary and not being thrilled with their safety features, I purchased a Sleepypod. Wow! We love it! He has room to sleep and move around. It has a mesh zipped top that's fastened to the seatbelt and also fastened alond the main body to hold it securely in place. Plus it is crash tested plus passed many safety tests. I am fortunate enough to have been able to purchase 2 of these Sleepypods from this Yorkiepeachygirl website. I am delighted with the product, it's durability, functionality and even the cost. All of my dogs that I have put in the Sleepypods have been very comfortable in them and we're able to sleep while commuting. Wonderful purchase! Excellent product. Wonderful help and advice given. 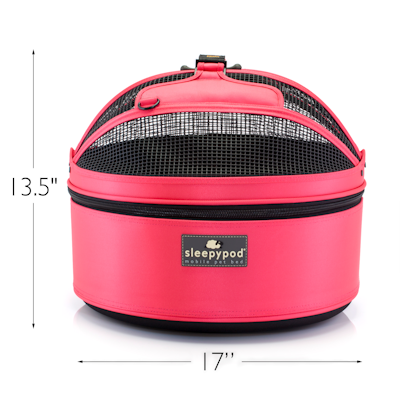 I ordered the sleepypod for Chloe about a month ago and just recently took a 12 hour trip with Chloe in her sleepypod. She slept the whole trip and was very content. I was very happy to know she was safe in bumper to bumper traffic that was going 80 mph in 5 lanes in the big city. Thanks...here's to safe travels and lots of fun with sweet Chloe!